Combs Enterprises is a portfolio of businesses and investments built and cultivated by music legend and mogul Sean “Diddy” Combs. Established in 2013, Combs Enterprises includes the brands Bad Boy Entertainment, Sean John, Combs Wine & Spirits (CÎROC and DELEÓN), AQUAhydrate, The Blue Flame Agency, Bad Boy Touring, Janice Combs Publishing, REVOLT Films and REVOLT MEDIA & TV, as well as ENYCE, Zac Posen, and the Combs Foundation. Combs Enterprises is known worldwide for its award-winning, market-defining successes in music, fashion, fragrance, beverage, spirits, marketing, film, television, media and more. Sean Combs is the definition of a mogul. As the Chairman and CEO of Combs Enterprises, he has a diverse portfolio of businesses and investments covering the music, fashion, fragrance, beverage, marketing, film, television, and media industries with companies such as Bad Boy Worldwide Entertainment Group, Sean John, Combs Wine & Spirits, AQUAhydrate, The Blue Flame Agency, REVOLT Films and REVOLT MEDIA & TV. Read more. Dia Simms is an executive, entrepreneur, philanthropist, and creative force. As President of Combs Wine & Spirits, she oversees the strategic execution of all Cîroc Ultra Premium Vodka, DeLeón Tequila and spirits innovation projects for the company. Dia has worked with Sean “Diddy” Combs since 2005 and brings her relentless commitment to excellence and her unparalleled track record as a creative strategist and marketer to the leadership team of Combs Enterprises. Read more. 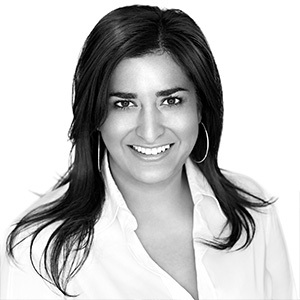 As CEO of REVOLT, Roma Khanna is responsible for leading the strategy and operations of the real-time, multi-platform brand and network. She reports directly to the Board of Directors of Revolt and the Chairman and CEO. Roma’s 20-plus years of experience as a digital innovator and entrepreneur, and proven success growing global businesses in TV, broadcast, digital, film and distribution, led Mr. Combs to personally recruit her for this role. Read more. 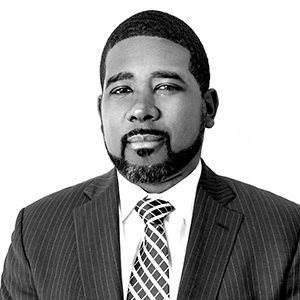 Andre Harrell serves as Vice Chairman of REVOLT TV & Media. An entertainment powerhouse with credentials spanning film, television, music and branding, Andre has helped influence and create urban and millennial culture around the world. In this role, Andre helps create new opportunities for Combs Enterprises with technology companies, brands, and the music industry, largely focusing on business development, outreach and strategic partnerships. Read more. Jeffrey Tweedy is President and CEO of Sean John, the award-winning clothing and lifestyle brand founded by Sean “Diddy” Combs. Along with Mr. Combs, Jeff is a founder and has been with the brand since its inception. He is one of the most recognized and highly regarded leaders in the fashion industry and is celebrated for his sharp insights, strong creative vision and an acute ability to predict shifting trends in the industry. Read more. 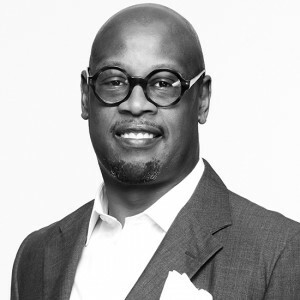 As Vice President, Office of the Chairman of Combs Enterprises, Tarik A. Brooks oversees the team that directly supports Chairman Sean “Diddy” Combs, and serves as the primary interface across the Combs Enterprises companies and new business opportunities. He was asked to play this role by Mr. Combs because of his extensive experience building companies in dynamic environments in the US and abroad, his reputation for developing hard driving teams, and his ability to lead initiatives from concept to operational launch and growth. Read more.